SMART INFRARED technology and the medi compression work perfectly together to improve blood circulation in microvessels and oxygen supply to muscles. medi compression offers the ideal compression profile for muscle preparation and recovery. Premium merino wool provides excellent heat and moisture management for fresh and comfortable feet. 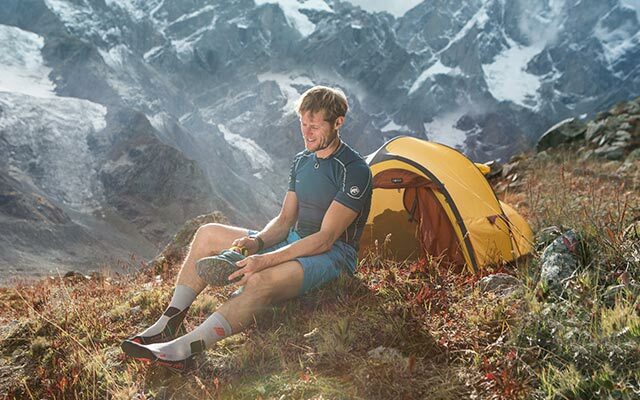 The CEP Merino Socks for Recovery combine the best of compression, nature and high-tech in one product: highly effective medi compression and a comfortable blend of merino wool and synthetic fibres with bioactive minerals that use your body heat to stimulate recovery. The innovative Merino Socks for Recovery for women increase your circulation for faster recovery and less muscle soreness. Their thermal balance is second to none. You can only win with these Merino Socks for Recovery!